James Vetrano 96, of Yonkers, N.Y. died on August 13, 2018. He was born on August 19, 1921 to the late Michael and Marguerite (nee Mauriello) Vetrano in Newark, N.J. James served proudly in the US Army Air Force during WWII. 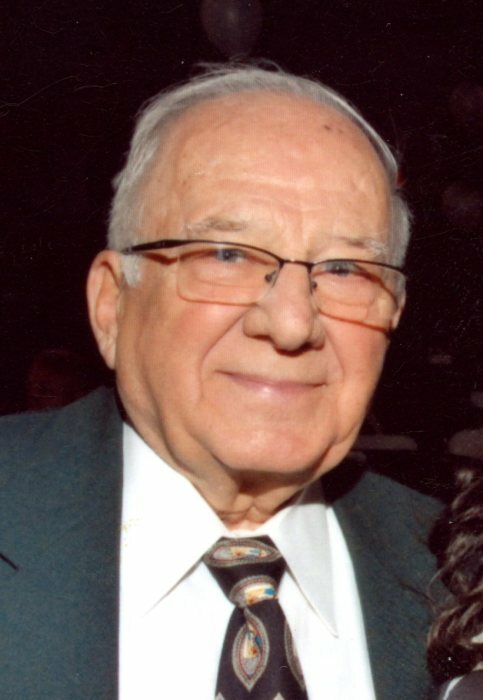 He was a former President of Local 305 Retail and Wholesale Department Store Union in Hastings, N.Y. and other affiliations included Board Member of Yonkers PAL and a 4th Degree Knights of Columbus with Council 3995 in Yonkers, N.Y. James was predeceased by his devoted wife, Nancy (nee Cianciotti) Vetrano in 2009 and also predeceased by five brothers and six sisters. He is survived by his loving sons, James M. (Toni) Vetrano of Briarcliff Manor, N.Y. and Raymond M. (Barbara) Vetrano of Ossining, N.Y. also survived by his six cherished grandchildren, Jacqueline (Myron), Angela, James (Kristen), Dana (Michael), Raymond, Jr. and Nicholas and four great grandchildren. One sister, Margaret LaFemina of Rockland County. Reposing, Hawthorne Funeral Home on Wednesday and Thursday, 2-4 and 7-9 PM. Funeral Mass, St. Augustine’s Church, Ossining, N.Y. on Friday, 10 AM. Entombment, Ferncliff Mausoleum, Hartsdale, N.Y. In lieu of flowers donations to Memorial Sloan Kettering Hospital, 1275 York Ave. N.Y., N.Y. 10021, would be appreciated.